Innovation rankings are bases on very diligent data collection and statistical analysis, and computation of all sorts of parameters related to innovation. The top-level result is an innovation index, on which you can compare e.g. countries, companies, cities etc. Since the reports are very lengthy and pretty boring to read (in my opinion), there is a risk that a lot of this work go unnoticed, and even worse, the recommendations are not discussed properly, and hence not tried out. If most people do like I do, they glance over the executive summary, have a peek where your country is placed in the rankings, and make a few mental notes about how you are stacking up relative to your competitors. Most of these reflections are based on the top-level number (the Innovation Index) only. 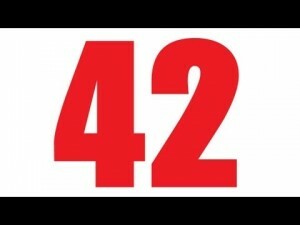 In Hitchhikers Guide to the Galaxy, a group of hyper-intelligent pan-dimensional beings demand to learn the Answer to the Ultimate Question of Life, The Universe, and Everything from the supercomputer, Deep Thought, specially built for this purpose. It takes Deep Thought 7½ million years to compute and check the answer, which turns out to be 42. Deep Thought points out that the answer seems meaningless because the beings who instructed it never actually knew what the Question was. This quote sums up one of the basic problems about innovation indexes: Since they are aggregate averages of a lot of parameters, the innovation dimension may somehow be lost in translation, and reduced to “We are number 8 in innovation”, without a thorough discussion of the underlying parameters. Since I’m rather systematic in my approach to innovation, I have digged more into the data, and I’ve started with the Global Innovation Index 2014, which is one of the more long-running indexes. The Global Innovation Index 2014: The Human Factor in Innovation, in short GII 2014) is the result of a collaboration between Cornell University, INSEAD, and the World Intellectual Property Organization (WIPO) as co-publishers, and their Knowledge Partners. GII 2014 consists of a 428 page (!) report, and is presented in a great, interactive website, allowing you to perform your own data analysis and comparisons. The work covers 143 economies around the world and uses 81 indicators across a range of themes. My guess is that not very many have read this report from start to end… maybe the executive summary and the rankings, and perhaps the profile for your own country. I have no data to support this claim, other than my own experience. If it is indeed the case, it is really a shame, because reports like GII 2014 constitutes and impressive amount of highly qualified work. So what can we do to activate conclusions from such work even more? What is behind the 81 indicators that constitute the innovation index? 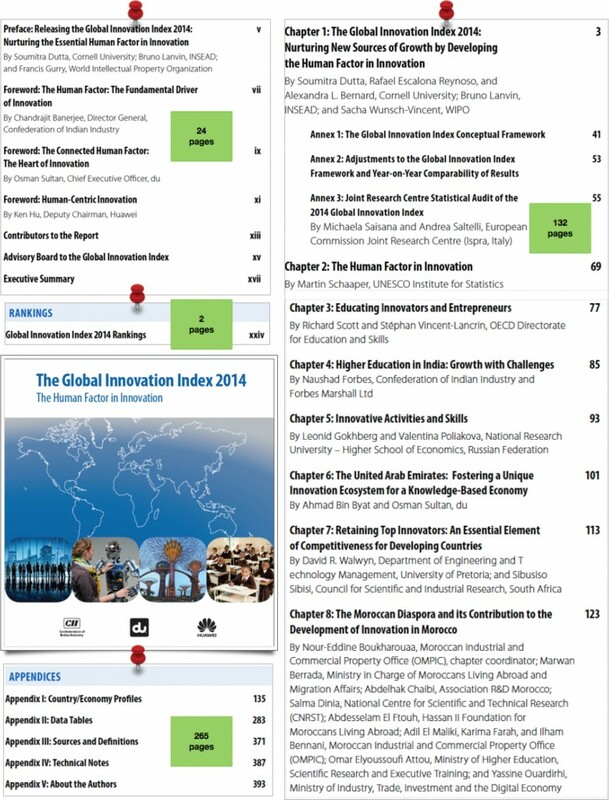 What is the relationship between the GII 2014 index and other innovation indexes? How can you use e.g. GII 2014 to make concrete policy suggestions for your country? What is the relationship between innovation indexes and other indexes, e.g. creativity or happiness? What are your experiences with innovation measures like GII 2014? In what ways do you use it to make decisions or form opinions? If you would like to receive regular updates on innovation, please subscribe to our newsletter here.